Successfully getting a driver’s license in Colorado does not just magically happen. There is a good deal of study and driving practice involved, at least for teen drivers that pass it the first time. 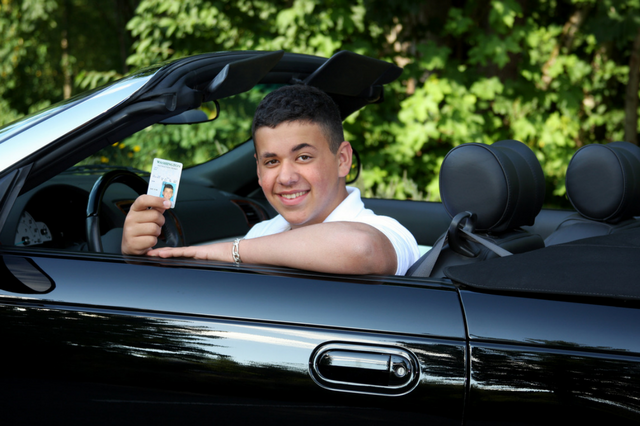 At Western Slope Driving Institute, we are committed to your teenage driver’s success, and this article aims to point you to the resources that can help your child know how to successfuly get thier license. The written permit test covers the contents of the Colorado Driver Handbook and includes questions about road signs, intersections, pavement markings, right of way, driving under the influence, precautions when driving in hazardous conditions, and other safety and driving rules. Studying the driver’s manual is a sound preparation strategy. But to better digest that information, online practice tests, and study guides are a big help. Other sites provide study guides and cheat sheets for a fee. Recall that driver’s permits and their corresponding requirements vary according to the teenage driver’s age. Teens aged 15 to 15 ½ need to complete a 30-hour Colorado driver’s ed program from a state-accredited training institution to be allowed to take the written permit test. Learning the above lessons with the guidance of law enforcement experts and professional driving instructors, whether in a classroom setting or online, increases your teenager’s chances of passing the driver’s test. Western Slope Driving Institute has branches in various areas in Colorado. If you need your teenager enrolled in a Denver driver’s ed or Parker driver’s ed course, contact us today. The purpose of the written permit test is to gauge how well your teenage driver understands the rules of the road and the importance of safe driving habits. Although passing the driver’s tests is crucial to obtaining a driver’s license, passing for the sake of passing is not the end game. Young drivers turning into responsible and safe drivers for life is. If you have any questions regarding the driver’s permit test, give us a call, and we will be happy to assist you.